​We have but one childhood, the most critical time for exposure to the natural world. One small window to gather leaves and throw them over our heads with abandon. One chance to make a mud pies. One chance to watch in wonder as a butterfly lands on our arm and then magically flits off as we run after it. One small space of time to experience nature's deep and everlasting impact on our understanding and appreciation of all that is around us. In the age of iPads, iPhone apps, and technology, our children are starved for natural, authentic beauty and truly creative forms of learning and play. Now more than ever, our children deserve an appreciation of nature and its mysterious ways. ​Our experiences in nature frame and impact our learning dispositions and behaviors. 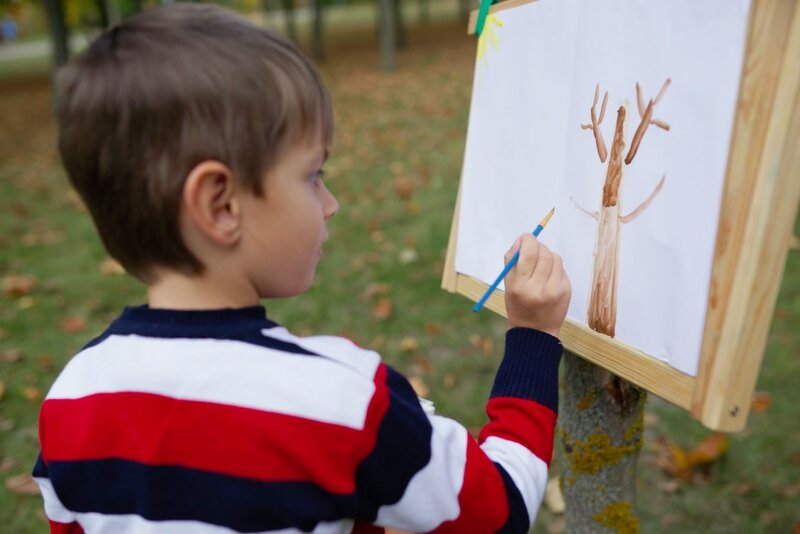 At Cambridge International preschool our playground and our focus on immersing ourselves in nature encourages hands-on exploration and appreciation of the natural world while also fostering the foundations for learning 21st century skills. It matters what our children eat as do the materials our children use. From the paint we use in our art projects to the cots that our children use to lay their heads on are made from safe, organic and non-toxic sources. We are a community that is mindful of the harm being done to our children via BPAs, pesticides, and dangerous chemicals. We are committed to providing a safe, non-toxic environment for our students. We are committed to giving your child healthy, organic lunch options every single day. The food we serve is made in-house with locally sourced foods and vegetarian, gluten-free and vegan options. As the Atlanta ambassador for Jamie Oliver's Food Revolution initiative, Cambridge is committed to promoting healthy lifestyles to both our students and to their families.